I’ve heard many positive things about Barry Jenkins’ Moonlight before heading to the theater to see it. All those feedbacks, of course, were uplifting, so skipping it would have meant to me as committing a crime against the art. And you can imagine that has never been an option for me. However, after seeing it, I could tell why people were so insanely supportive about it… Because it is indeed an excellent film that justified the noise surrounding this film. 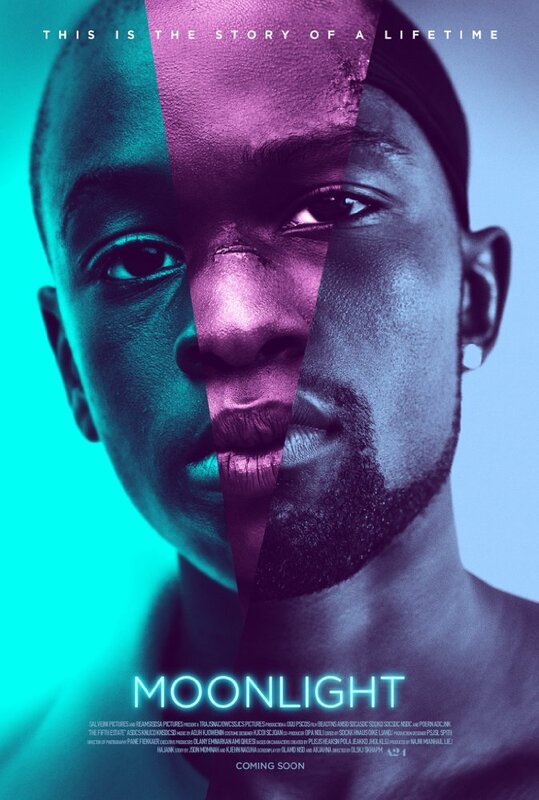 Moonlight begins with a troubled young boy Chiron, where we find out that the nickname given by his schoolmates, “A Little”, somewhat made him think lowly about himself. Living with a drug addicted mother, running away from a local boy who would harrass him every time the opportunity comes, makes Chiron to hide in an abandoned building where he was found by Juan (Meharshala Ali) who takes him under his caring wing. His girlfriend, Theresa is as supportive as him, which eventually helps Chiron a lot while he is in the search of his identity. The identity of Chiron and his sexual preferences starts troubling him since he was a little boy. However, as he grows, those problems don’t go anywhere, as he quickly becomes an object of ridicule and hatred of his classmates. Still a little boy who tries to learn about himself or find out more about who he is, Chiron grows up in a community where revealing his identity would have caused him his life. His first sexual experience is with his friend Kevin, who later will be forced to beat him up, as a protest of being different. As the story unfolds, you find Chiron has developed a special bond with Juan and his wife, Theresa. Strangely or not, in their house, he always felt himself more at home than in his own. And how else could it be, when his mother was never sober or free of drugs… for even one day. But again, it’s Chiron the main protagonist character who, as time goes by becomes a strong man with the same old problems carried on. But this time it does not matter how heavy his luggage is, he is more determined, wise and open to fight with anyone if required to defend himself and his choice.